Life can often seem to go in the opposite direction of the scripture above. It’s frustrating and confusing. Individuals with selfish agendas get promoted. Bad things happen to good people. Those who are arrogant or uncaring mess up the lives of those who count on them. Unfairness is everywhere. So, where’s the hope? How can we keep up the faith? At least some of this book was written by King David’s son, Solomon. He was one of the richest men of his time. He was also wise. His peak net worth is estimated to be $2.2 trillion in today’s money. This powerful monarch may still have been more concerned with wisdom than financial gain. All passages are taken from the King James Version of the Bible. 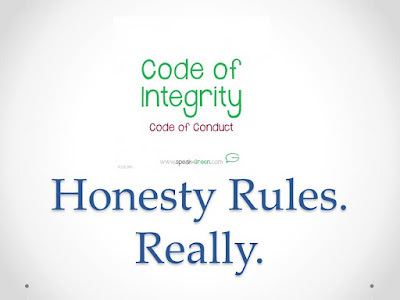 My good friend, Carol Graham, shared an amazing story of how integrity paid off for an executive. He was one of the top leaders being considered for the chief operating officer (CEO) position of a company. All of the men were given a unique test of their honesty. He was the only one who passed the trial. This truthful man became the new CEO. Please read the entire tale here. This is a message that needs to be underscored more now than ever before. Thank you for your post and also for sharing my story. 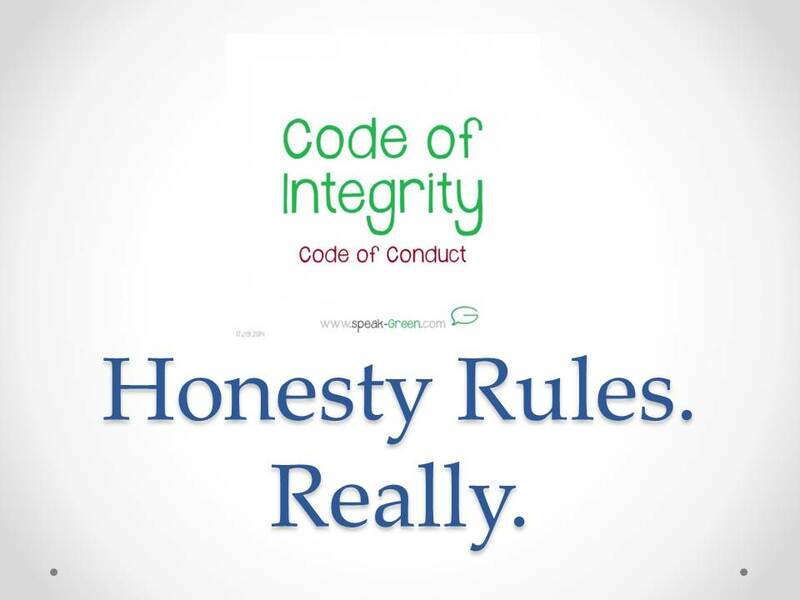 I love the Code of Integrity. Thanks for your sweet comments, Carol! Thanks, also, for agreeing to let me link out to your wonderful article...I couldn't agree more that a message of integrity is crucial these days.